All fields required to provide local service. Check this box if you authorize Esko companies to contact you about goods and services which may be of interest to you. How to choose a cutting table? 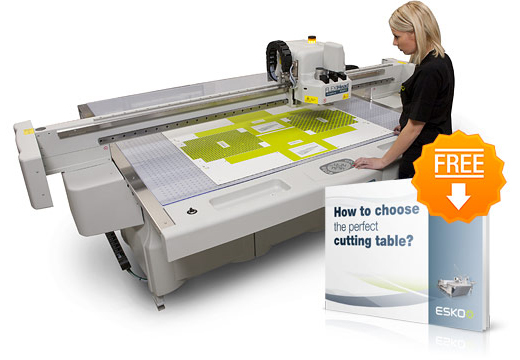 A digital cutting table is the answer to short run production but how to select the digital cutter that fits your needs? Whether you produce signage, displays, packaging or cut materials, the right table makes all the difference. Our guide will help you out! Fill out the form and download our free guide right away! "Following our investment in two Esko Kongsberg cutting tables, we increased speed. We can now produce up to 80% more jobs per day - all at the highest quality..."